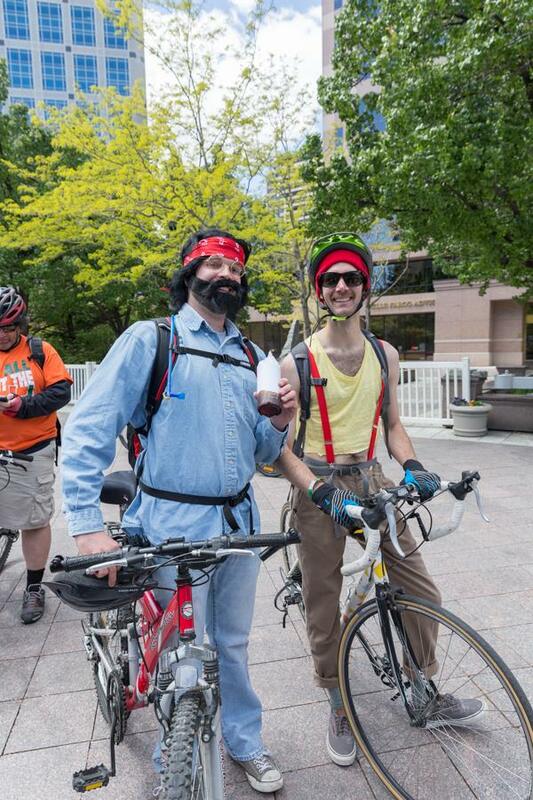 Tour de Brewtah began in 2010 and is a one-day event open to cyclists of all abilities to tour local Salt Lake breweries and taste the finest craft beverages they have to offer. Since then, it has become a perennial favorite event amongst cyclists & (most) breweries alike in the Salt Lake community, with the event averaging approximately 800+ riders annually. We are excited to announce the 2019 Tour de Brewtah, which takes place on Saturday, May 4th, 2019. This is our 10th annual event, which brings cyclists and beer enthusiasts of many different backgrounds into Salt Lake City & County to tour our ever-expanding local “brewiverse” and all the fine local breweries which inhabit it. In honor of our 10th anniversary, we've created a total of 10 routes, so there are sure to be plenty of new finds, as well as old standbys to visit. We’ve also added the Tour De Brewtah Local Beer Festival, where patrons who are unable to make the ride can still sample all of the finest products from our local craft producers in one spot. This year we are proud to partner with Presenting Host Partner The Gateway, who provides the ideal location for an event of our “expanse” to call home base. In addition, the event serves the community to its best ability as we donate a percentage of the ticket purchase price to support local non-profits.